Ms. Davis’ 3rd grade class is learning about weather patterns over each season. 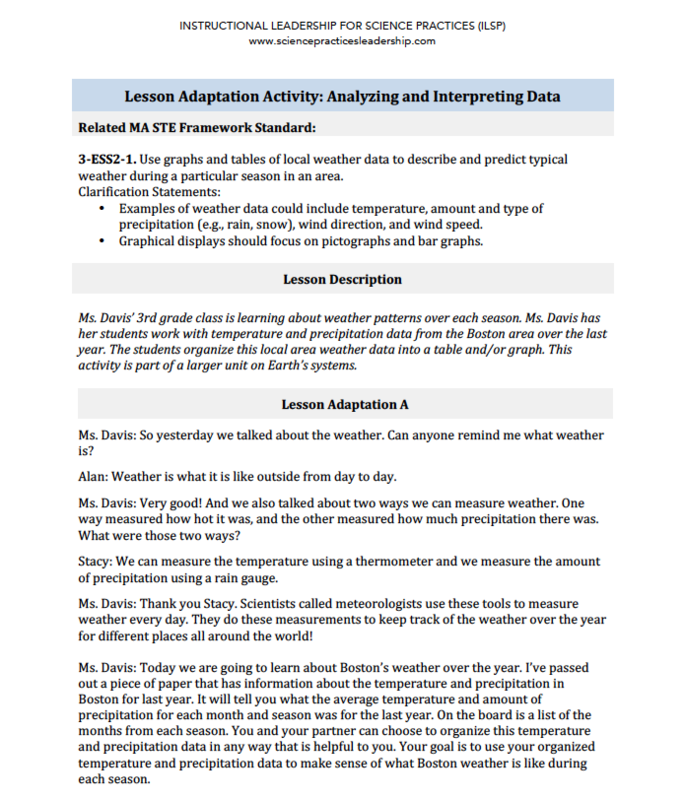 Ms. Davis has her students work with temperature and precipitation data from the Boston area over the last year. The students organize this local area weather data into a table and/or graph. This activity is part of a larger unit on Earth’s systems.